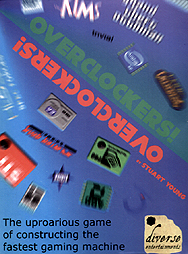 In the world of Overclockers! the weekly LAN party isn't just about playing the games - it's about who can run them. Outbid your competitors for the best components then use them to play a hilarious selection of pirated PC games to increase your respect and be crowned king - or queen - of the Overclockers!